Have you ever thought about how and when the first coins appeared? Were they the same as the ones that we use today? What currency did we use in Portugal before the euro? And what about during the time of the Kings? Heads or Tails? Obverse or Reverse? What are we talking about after all? Have you ever thought about how and when the first coins appeared? Were they the same as the ones that we use today? What currency did we use in Portugal before the euro? And what about during the time of the Kings? During this workshop-tour you can learn how and when the first coins appeared and what their pictures mean. 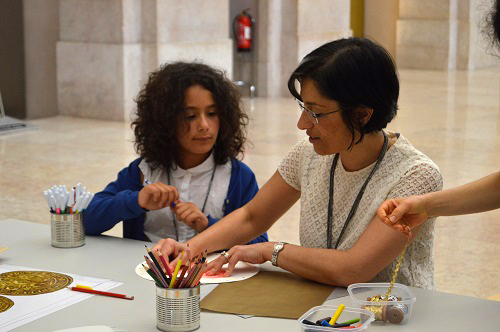 At the end you too can invent a coin for the Museum’s new collection!